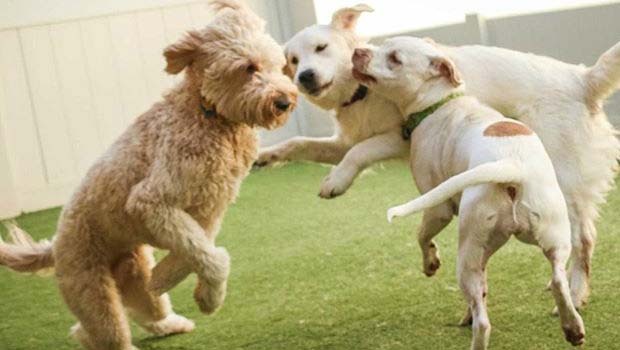 Camp Bow Wow Clarkston Coupons – Camp Bow Wow Dog Day Care, Dog Boarding, and Dog Grooming facility in Clarkston is offering Oakland County Moms readers a special coupon! Act now and you can choose between either of these 2 coupons. Coupon #1 – Take $10 off of any Dog Daycare Package – If your dog has anxiety from being home alone, try Camp Bow Wow. They offer exercise, mental stimulation, and socialization with friendly dogs and friendly Camp Bow Wow staff! Coupon #2 – FREE Dog Bath with purchase of a 5-Day Warm Up Package – Camp Bow Wow is giving you a FREE bath for your dog with this purchase. FINE PRINT – (this offer is only valid after completion of a Camper Interview at one of our Camp Bow Wow locations and may only be used for Camp Bow Wow Clarkston). These Offer Expires 5/31/2019.